South Africa’s foremost crime-fighting unit has found no evidence of the so-called zombie drug flakka being manufactured, sold or consumed in South Africa — and has lambasted the “fake news” that spread panic in Durban, Cape Town and Johannesburg. 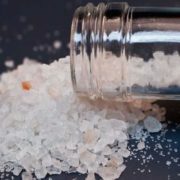 The Directorate for Priority Crimes Investigations, the Hawks, launched a nationwide search for flakka — globally known as bath salts — after panic spread through social media about its zombie side effects and videos started emerging of people using the drug. One of the videos allegedly shows a Durban man apparently throwing himself from the top floor of a six-storey building and landing on his neck, during a psychotic episode triggered by flakka. In another video, a man repeatedly rams his head into a garage door before passing out, and a third video shows a man walking naked into a Shell fuel station apparently in Cape Town. “Flakka is not in the country. It’s videos of people who are from the [United] States, or wherever, who claim that there is flakka in the country. We’ve not seen any single drug called flakka. We’ve also communicated with the forensics department; they’ve not tested anything that is called flakka or bath salts,” Hawks spokesperson Hangwani Mulaudzi told the Mail & Guardian last week. “There are, of course, community policing forums and government officials talking about it, but it’s based on what they’re hearing. Some of the videos we’ve seen are from the States, some are old videos, but I think the perception is out there and it will remain,” Mulaudzi said. The increasing number of warnings about flakka in Cape Town prompted special operations by Western Cape police, spokesperson Andre Traut told the M&G. “We are aware of the drug,” Traut said. “We’ve been following up information but we are yet to confiscate or make arrests. Our intelligence people have picked up information … that there’s a possibility it’s being distributed. “I am aware of our operations where members went out but those operations haven’t yielded arrests,” Traut added. In all the cases except one, police or community members were not able to track down the people who made the videos, consumed the drug or witnessed the incidents. But the Anti-Drug Forum SA confirmed the drug’s presence in South Africa after an incident that happened at the beginning of November in Durban, in which a Chatsworth resident bit a chunk of flesh off his wife’s arm during a flash of psychosis, apparently brought on by flakka. A few hours earlier the man had arrived at the Chatsworth hospital exhibiting all the symptoms of the so-called zombie drug — seizures, fits of rage, extreme paranoia and aggression. The car he had been travelling in with friends — who were also said to have taken the drug — had a cracked windscreen and multiple scratches, according to eyewitnesses. The man’s friends tried to climb the walls of the hospital and fight with other patients before they were strapped down on the beds. “It took five guys to hold him down. He wanted to climb up the cupboards, hallucinating. They believed that they could do anything,” Anti-Drug Forum SA chairperson Sam Pillay said, explaining that the men did not admit to taking flakka. “They didn’t remember a thing afterwards. When they came to, 24 hours later, they were strapped to the hospital beds. They only remembered from the time they took the drug in Pinetown. The guy that drove them to the hospital, who was also on the drug, didn’t know how he did it,” Pillay added. But the men claimed their energy drinks were laced with an “unknown” substance. Pillay’s forum has multiple warnings against flakka on its website, which also states that the presence of the drug has been confirmed in Durban and that he was convinced the substance consumed by the three men was flakka because of the symptoms. Mulaudzi said he was aware of the incident, but the men were tested and their blood samples did not test positive for flakka. Flakka is a synthetic version of cathinone, a stimulant found in the khat plant grown in East Africa. On its website, the US’s National Institute on Drug Abuse describes synthetic cathinones as new psychoactive substances that “take the form of white or brown crystal-like powder”. It warns that flakka can produce effects such as “paranoia, hallucinations, excited delirium and panic attacks”. In South Africa, social media panic about flakka hasn’t fazed the Central Drug Authority — tasked by the social development department with monitoring drug abuse and developing drug-related legislation. “We are at a very difficult stage in terms of preparing the national policy on drugs for South Africa. We’ve got to present to Parliament at the beginning of next year, so we haven’t done any research into flakka in South Africa or its dangers. No one has approached us to look into this,” Central Drug Authority chairperson David Bayever told the M&G. 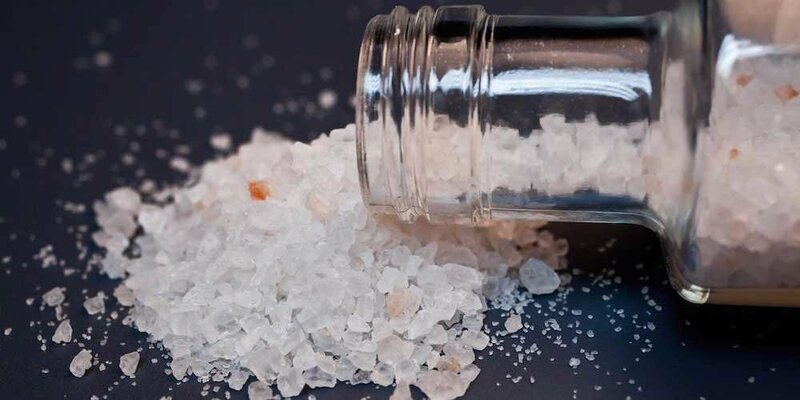 The health department said, because flakka is an illegal substance that has not been checked by the South African Health Products Authority (formerly known as the Medicines Control Council), the police are leading the fight against it. It added that the department was not responsible for identifying what the drug was made of. “For us, we are at the receiving end of the drug, when it leads you to hospital. It’s like our messages encouraging people not to drink and drive. The transport department takes the lead on the campaign,” said health department’s spokesperson Popo Maja. Pillay said that, since reporting the three men’s incident, panic about flakka has spread through Chatsworth. On social media, videos showing flakka being sold in jelly baby sweets and people apparently experiencing flakka-induced episodes have gone viral. On Twitter, Facebook and in WhatsApp groups, daily warnings about the spread of flakka in South Africa have only increased. But Mulaudzi said this was all “fake news”. “It’s based on fake news. We’ve seen it to be confirmed to be in Durban, but where? People must tell us.